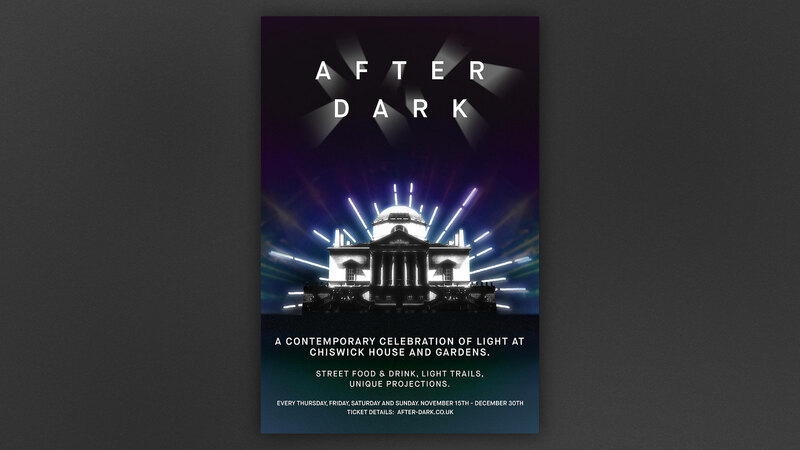 I was fortunate enough to be called in to help out with the poster design for a fantastic festival of light exhibition being held at Chiswick House. 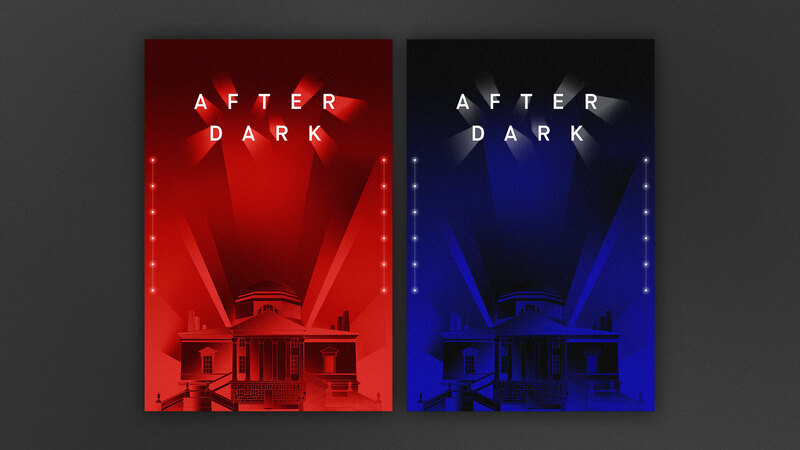 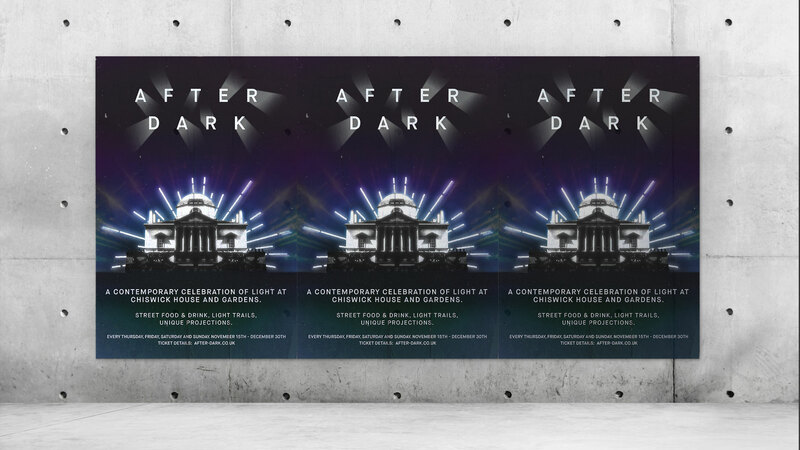 After Dark will see the grounds transformed by renowned lighting designer, Nick Gray from Renegade. 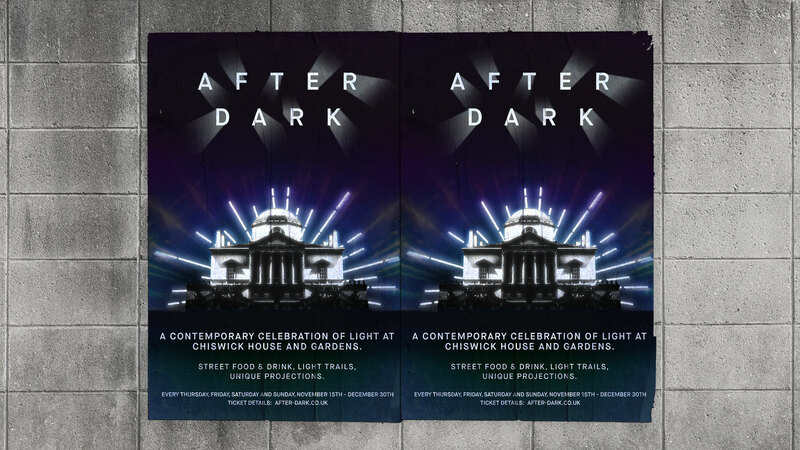 "The After Dark experience is a trail of contemporary lighting installations that weaves an enchanting night walk through the award-winning Chiswick House Gardens." 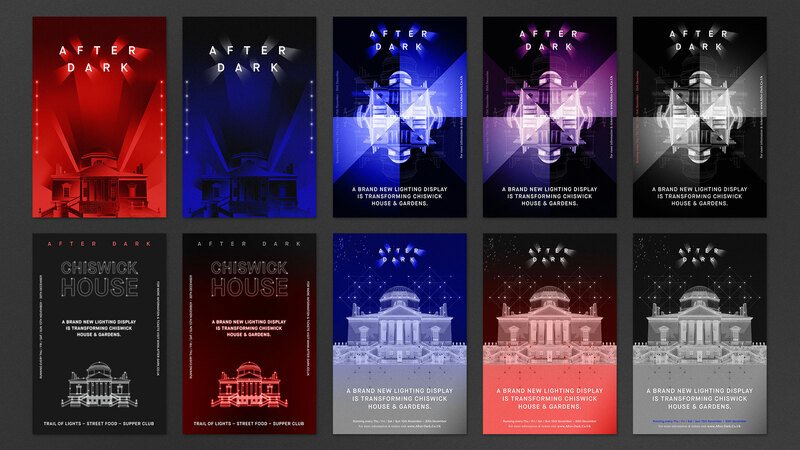 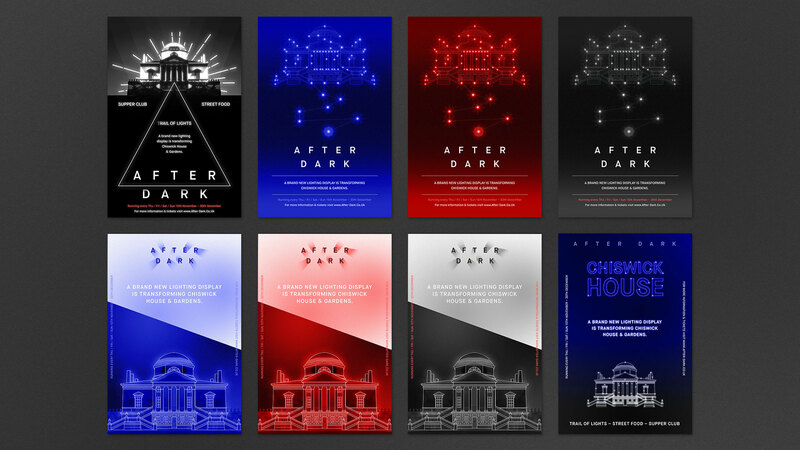 We worked together through several iterations using the brand guidelines, to execute an enticing and abstract representation of the event "which will see classical architecture meet modern technology".